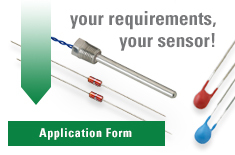 U.S. Sensor's quality system has been ISO 9001:2008 certified by Perry Johnson Registrars Inc. The International Organization for Standardization (ISO) is the world's largest developer and publisher of International Standards. ISO 9001:2008 is recognized and respected by organizations worldwide as a Quality Management Standard. This certification is an important benchmark in U.S. Sensor’s continuing commitment to the highest quality standards. The policies and procedures put in place also confirm U.S. Sensor’s compliance and commitment to achieving, and surpassing, industry quality practices. To become ISO 9001:2008 certified, U.S. Sensor underwent an extensive evaluation process that included the assessment and approval of their quality management system (QMS), management systems review, employee training, process documentation and establishment of process metrics to ensure an optimum QMS with accompanying procedures and controls. Perry Johnson Registrars Inc. has been accredited by seven different international bodies, and has an audit staff of over 190 auditors, averaging 15 years of auditing experience and 18 years of experience in the quality industry. U.S. Sensor is extremely proud of our success in obtaining ISO 9001:2008 certification.